Author Toni Morrison emphasized the need to analyze race in American literature by white authors by shifting focus "from the racial object to the racial subject". Representations of whiteness in certain works by Asian American authors reveal what happens when the visual dynamics of ethnography are reversed, and those persons often considered as objects-Asian Americans, other minorities-are allowed to see and judge those who so often objectify them. 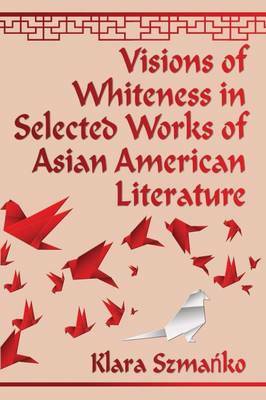 This study focuses on the construct of whiteness in Asian American literature, with an emphasis on social power structures and identity politics. Works covered include Maxine Hong Kingston's The Woman Warrior (1976) and China Men (1980), Leonard Chang's The Fruit 'N Food (1996), Joy Kogawa's Obasan (1981) and Maxine Hong Kingston's The Fifth Book of Peace (2003).